Many educators find themselves on spring break during this time of year. They may use the time to go on vacation, find time to complete household projects during their free time or volunteer their time. 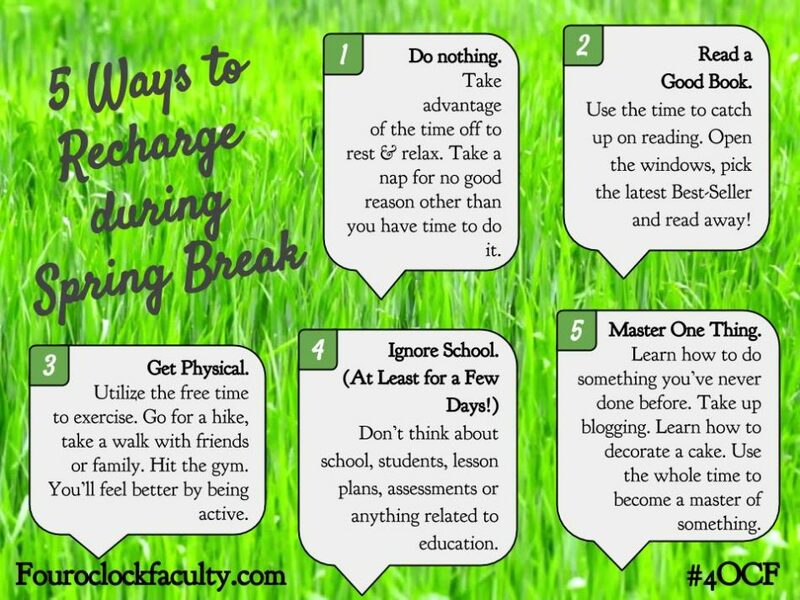 If you use the time to recharge your body, mind and spirit, you’ll return to school energized to continue meaningful work when spring break is finished. Consider these ways to recharge and enjoy the time off!